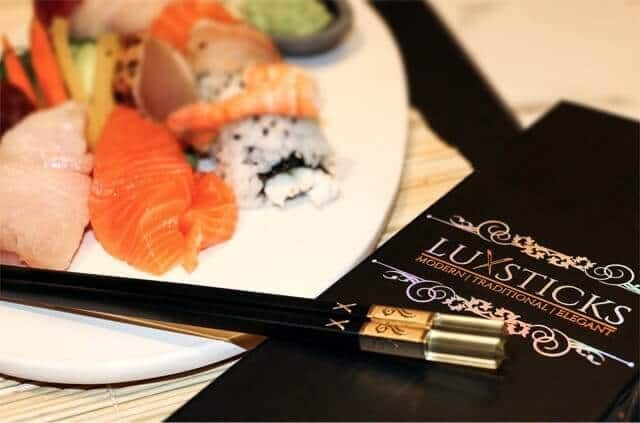 Two words I’ve never used together: luxury + chopsticks. 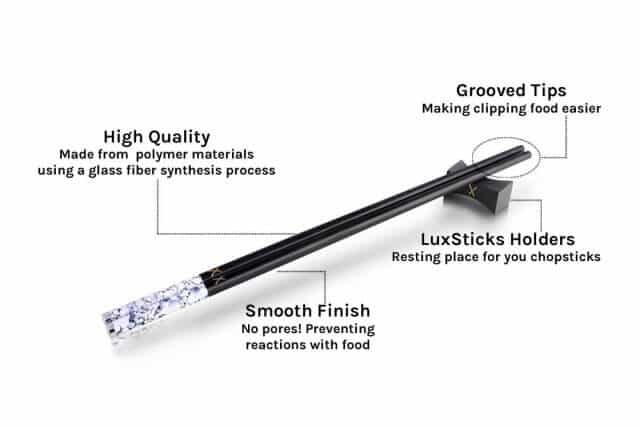 New company, LuxSticks, is certainly is aiming to change that, with the launch of six designer chopsticks that are modern, fun and even functional. Our old set is made of bamboo – some of the sticks have splintered, one tip broke from getting stuck in a drawer, and all of them are different shades. It looks so out of place next to the LuxSticks! 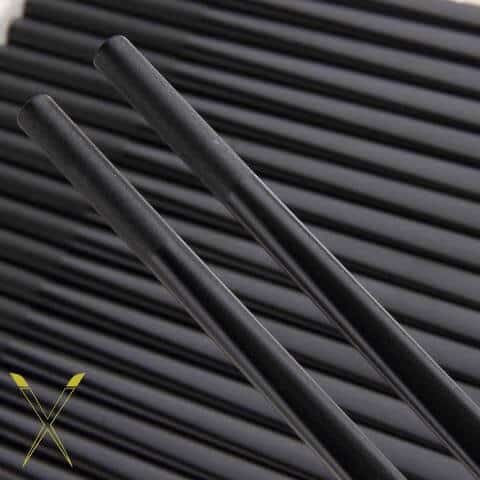 LuxSticks chopsticks are high quality utensils that look good on your table and make using chopsticks easier. I appreciate the grippy tips, which makes grabbing small pieces of food, especially slippery stir fry bits, so much easier. 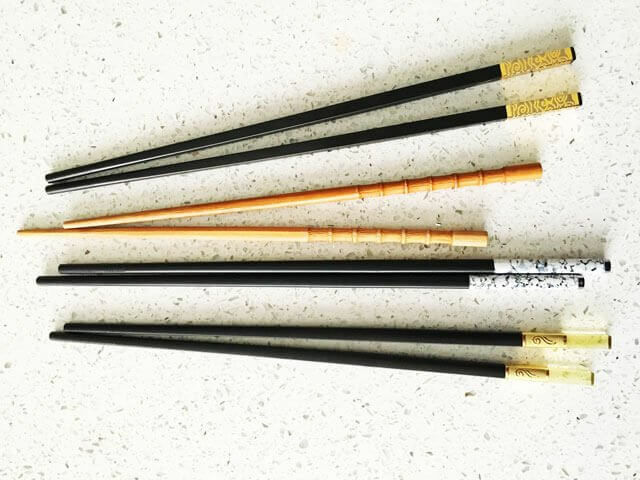 For sale at LuxSticks for $40 for set of 2 pairs – it makes a wonderful gift! 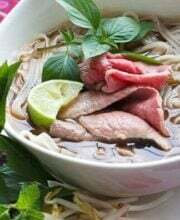 If you have beautiful silverware or cutlery you appreciate, LuxSticks is a great complement to your kitchen and dining experience. 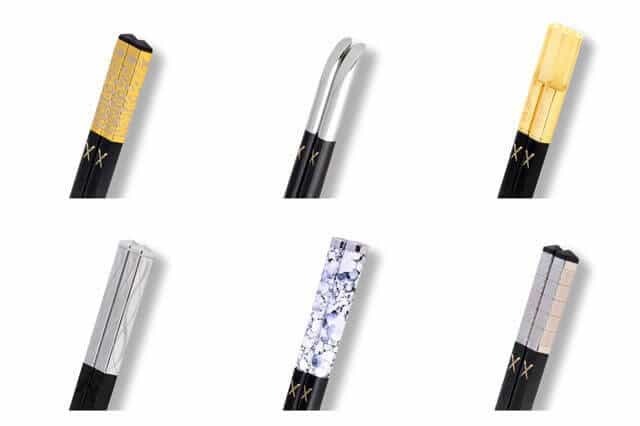 Giving away 3 sets of Luxsticks (6 total pairs).